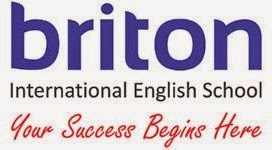 BRITON International English School is the leading English language school in Eastern part of Indonesia with 16 centres and 3,000 students every month. We are a learning organization with a passion in advancement of every employee’s career. Since 1996 we have helped many of our staff members achieve their dreams. Many even experience a journey they never imagine, from working together, learning new skills, exceeding potentials, and making change. We are inevitable part of their success. Join us now and together let’s make work an adventure. Why end up with a regular 9-5 job when you can fast-forward your career now? With our vision to be the leading language institution, there’s always a place for anyone who wants to grow with us.